Do your future self a favor: Make one of these overnight oats recipes now, and breakfast will be ready for you tomorrow morning! This layered morning meal tastes exactly like a Creamsicle. Try it and see! In a medium bowl, combine oats, almond milk, and salt. Add 1 sweetener packet and 1/4 tsp. vanilla extract. Mix well. In a small bowl, mix yogurt with remaining sweetener packet and 1/4 tsp. vanilla extract. Stir oatmeal. 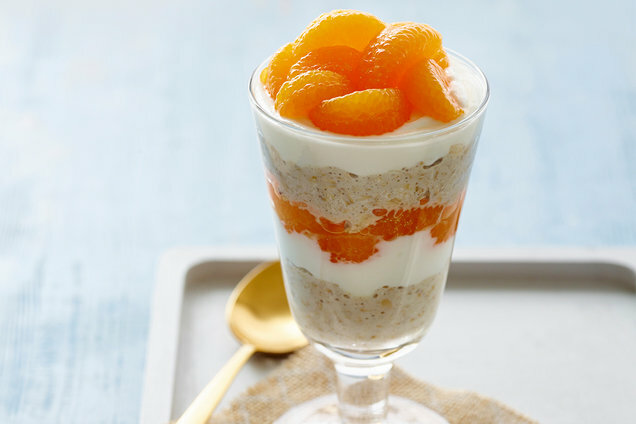 In a tall glass or medium jar, layer half of the oatmeal, half of the yogurt, and half of the orange segments. Repeat layering with remaining oatmeal, yogurt, and orange segments. 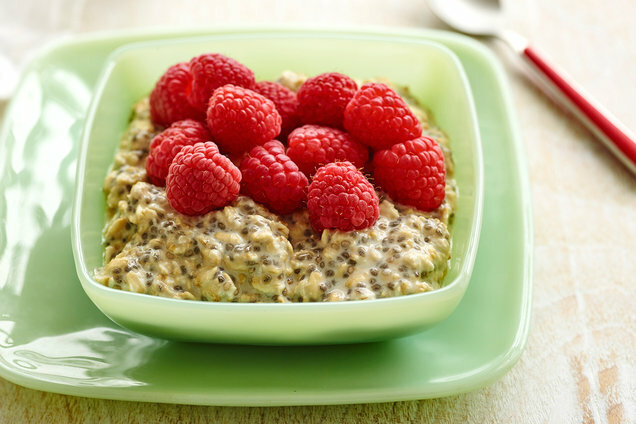 In a medium bowl or jar, combine all ingredients except raspberries. Mix thoroughly. Hungry for More Make-Ahead B-fast Recipes? Today, October 15th, is National Mushroom Day. We're big fans of meaty portabellas. Click for recipes! Breakfast sneaks up on all of us -- click "Send to a Friend" to give your pals time to prepare!